In We’re No. 1, The A.V. Club examines a song that went to No. 1 on the Billboard charts to get to the heart of what it means to be popular in pop music, and how that concept has changed over the years. In this installment, we cover Gnarls Barkley’s “Crazy,” which hit No. 1 on the U.K. chart (and No. 2 on the U.S. chart) on July 22, 2006. Every year the music industry churns out big hits, but truly global sensations are still a rarity, the tracks heard endlessly on the radio or listed in your mom’s favorite Pandora station. Some of these megahits come with gimmicky dances or iconic videos. But sometimes, a truly unique voice breaks through any language barrier or context, based on the charms of the music alone. This type of synergy came together perfectly on Gnarls Barkley’s debut single “Crazy,” released in summer 2006. Cee-Lo Green’s shrieking tenor and Danger Mouse’s funky yet minimal production combined to create a vibrant and colorful R&B track that was an instantaneous hit the world over. 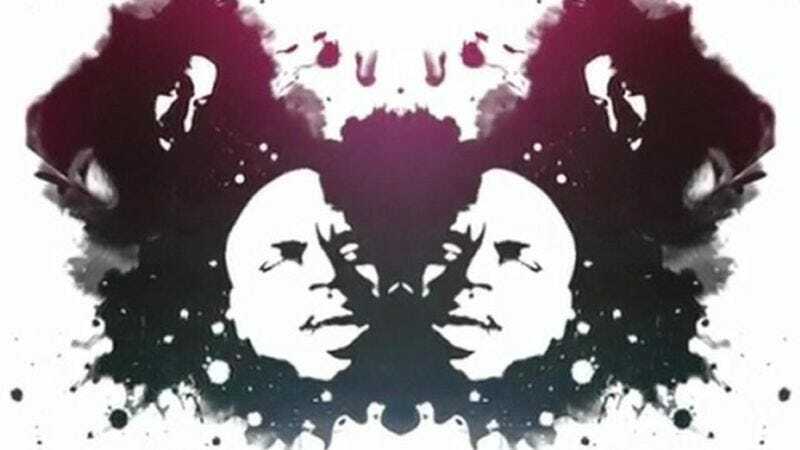 By packaging its alternative soul sound with a revolving door of wildly atypical images, the duo of Gnarls Barkley proved that embracing the eccentric can be just as successful as the traditional male R&B image. Cee-Lo Green was already somewhat well-known in Southern hip-hop and soul, due to his rapping as a member of Goodie Mob, and a couple of well-received solo record under his belt. Cee-Lo and producer Danger Mouse first met on a collaboration track with Jemini in 2003. The producer then offered to show Cee-Lo some tracks he had been working on with the singer in mind. Cee-Lo expressed interest in doing a track, but Danger Mouse retorted, “I don’t do tracks, I do albums.” Danger Mouse soon began to break through as a producer due to the popular Grey Album, where he mashed up The Beatles’ White Album with Jay-Z verses off The Black Album. He also produced the Gorillaz’s Demon Days. In 2006, the tracks he and Cee-Lo had been working on for two years, largely without label support, were ready to be heard on St. Elsewhere, Gnarls Barkley’s debut record. Gnarls Barkley officially introduced its debut album with “Crazy” as the first single, delivering the song via music video on a cryptic website associated with the duo. The Rorschachian video became one of the first international hits to be viewed primarily on YouTube (with 76 million views) rather than VH1 or MTV. “Crazy” was also a smash hit on iTunes. The single became the first song to chart at No. 1 in the U.K. on digital sales alone, a definitive blow toward the slow death of physical media that continues today. The track peaked at No. 2 in the U.S., but achieved No. 1 status just about everywhere else in the world, cementing the odd couple of Gnarls Barkley as international stars. Vocally, the track features a remarkable and defining performance from Cee-Lo. His vocal range, repetitions on words and phrases, and charisma—entirely captured in the first take, according to Danger Mouse—was immediately able to communicate to the listener exactly what Cee-Lo was about. The track is dripping with so much of Cee-Lo’s swagger and personality that it seemed no one would be able to cover it well. But many tried. Searching “Gnarls Barkley Crazy Cover” in YouTube nets around 477,000 results from every part of the globe and every genre. Some were great and some not so much, but everyone from Billy Idol to Nelly Furtado wanted to give it a go. Critically the song garnered accolades as well, with praise from mainstream outlets like the Grammys and Rolling Stone as well as more niche outlets like The Village Voice and Pitchfork. “Crazy”’s appeal seemed to draw in just about every kind of music fan. With such a popular song, Gnarls Barkley had an immense platform, but the duo appeared determined to treat its new fans to a completely different R&B act. The two made their public appearances as much of a spectacle as possible, with elaborate stage performances in unpredictable gaudy costumes. They saved the best costumes for the most public appearances, live music festivals or TV spots, showing up as gladiators, chefs, scientists, greasers, and hippies. The duo’s wild imagination and passion for film easily bled into the music and aesthetic. Danger Mouse created “Crazy” by sampling Italian western Django, Prepare A Coffin. Many of the band’s tracks feature a film reel playing at some point. The band also used costumes to pay tribute to favorite films, dressing up as characters from The Wizard Of Oz, Star Wars, and Pulp Fiction on stage, and offering a new way to approach mainstream R&B. With a constantly evolving appearance, Gnarls Barkley held a vice grip on its authentic image, without fading into something more contrived as its short career progressed. By embracing both the enigmatic and the anomalous, Gnarls Barkley provided the landscape of mainstream R&B with a much-needed makeover. Artists such as The Weeknd and Dvsn also used a mysterious nature to generate hype and intrigue around their music. The song’s crossover appeal into hip-hop led traits of Gnarls Barkley’s style to be emulated there as well. Recently Young Thug has embraced his inner eccentricities to challenge the perception of a mainstream hip-hop artist. Lil B has made a career off positivity and encouraging his fans to be themselves, a message Gnarls Barkley expressed through both lyrics and image. While the duo wasn’t the first outfit to bring these ideas to the music industry or even the genres of hip-hop and R&B, the timeliness helped make “Crazy” such an invigorating track. It felt authentic at a time when R&B was starting to feel relatively manufactured. “Crazy” was a classic example of a track that everyone loved so unanimously that it became far too overplayed. The band even requested that it be pulled off U.K. radio so the song would be “remembered fondly.” None of St. Elsewhere’s other songs could follow up the spontaneous power that the first single created. Because it wasn’t just a track that charted or propelled the Gnarls Barkley ideology into the mainstream. It was a track that for a brief time in 2006, just about everyone in the world could agree was great song. It succeeds on a display of pure lighthearted individualism. Does embracing who you are and wearing everything about yourself on your sleeve make you crazy? Possibly. But Gnarls Barkley will still encourage you to give it a shot, because standing out from the crowd can serve as a position of self-affirmation. That philosophy secures the song’s position as one of the all-time great hit singles, even 10 years later.